Technically Social. Journaling knowledge. Blogging wisdom. Redefining media. 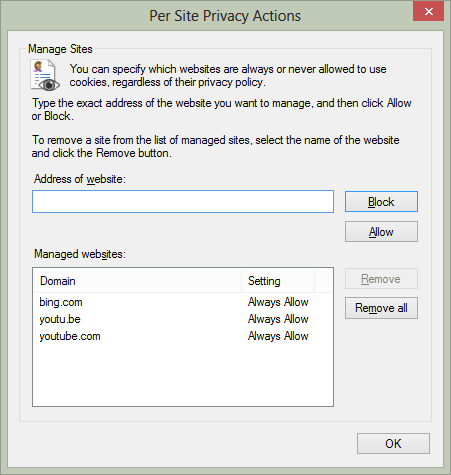 When I click on More I get a message at the bottom of Internet Explorer that a popup from www.bing.com was blocked. Message: Internet Explorer blocked a pop-up from www.bing.com. Restart IE, clicked on Allow once, same thing. 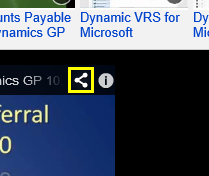 Options for this site button w/ drop down gives you More settings. 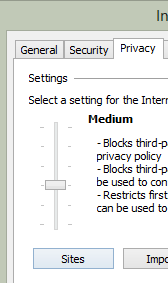 Added sites to Privacy settings under Per Site Privacy Actions dialog from clicking the Sites button under the Privacy tab in Internet Options. Refreshed (F5) on the page. Same thing. Sites are also in Trusted Sites zone with default (factory) settings. Very common message. I’ve been seeing this for a while. Pops up at the bottom of the Internet Explorer window. In the notification bar. I’m pretty sure that http://www.howstuffworks.com or http://howstuffworks.com (without the www.) was added to the Trusted Sites zone but fairly certain that http://electronics.howstuffworks.com is not. I tried adding the following URL to the Trusted Sites zone in Internet Explorer 10. In my case, the address http://electronics.howstuffworks.com is pre-populated (already there) in the Add this website to the zone box. So I just had to click the Add button and the Close button in the lower right of the Trusted Sites dialog box. Internet Explorer has modified this page to help prevent cross-site scripting. If you’re in a corporate, locked down environment, the only thing you can do at this point is modify the Internet Explorer settings. But many organizations do control or govern their systems, including Windows and its native web browsing application, Internet Explorer. The best thing I can offer to any end-user (information worker) having this message is to simply click on the x on the right of the message bar at the bottom of Internet Explorer. Yes. The bar might be displayed until you navigate to a new webpage or click the Close button. For notifications involving security or privacy, Internet Explorer automatically takes the most secure action, and allows you to take less secure actions if you’re confident they won’t put your computer or information in danger. Click the x to ignore the message and close the notification bar. The bar should [I think] also simply close itself if you do nothing, within like 5-10 seconds. How do I prevent Internet Explorer from modifying pages for cross-site scripting? 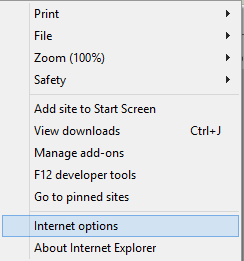 Under the security tab for IE8 there is a new Scripting Section for XSS Filter, Disable it and the issue goes away. I don’t ever touch this setting unless there’s some business justification or an RFP (request for proposal) outlining why it’s feasible to disable that setting. However, if you’re not at work and just in the context of a home computer, not used for business, then I’d suggest do it only if you understand what it does. I checked on msnNow just now and was pleasantly surprised with tweets. Normally, I’m not a big fan of more Twitter anytime, all the time so to speak. For sanity sake I prefer to stay out of it and only use it when I need it. But this is nice because now I don’t need to go to Twitter for the news. I can get both search [SEO] trends. The one catch is that I need them connected for search engine optimization (SEO) and should be logged into both Bing and Twitter persistently, meaning that I check the keep me logged in checkbox when I login and connect the two in the respective governance settings. Those settings are usually on the settings menu on the top nav bar of most sites. The song I was just listening to started skipping and I don’t know exactly why. Just that the only thing in Resource Monitor that I could find is a spike like the ones above. Particularly the second highest spike in disk activity. 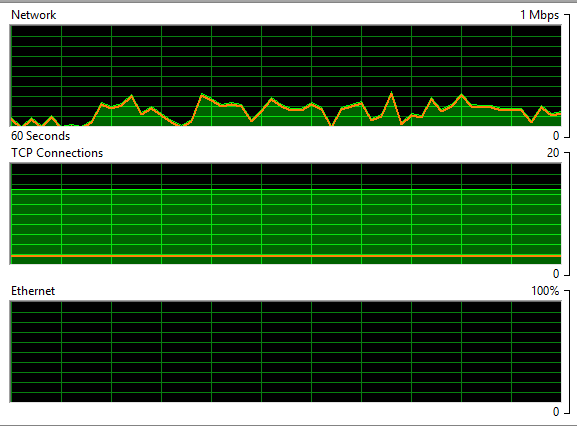 I always suspect the external to be the bottleneck based on previous experiences with performance lags on Windows 8. Click Sign out to log off your user account. This will terminate the current user session and start you off with a clean slate in terms of what Windows loads from the user profile when you login. It saves a reboot and thus less wear and tear on moving parts like hard disks if you don’t have a solid state drive (SSD). If I really want to go the extra mile I’ll disconnect the drive and test. But it probably won’t get to that. The drive, I believe, is USB 2.0. Will need to verify that later. Ran into the issue again today and noticed the song is still downloading. I’m not sure if the song yesterday was having the same problem. WWAHost.exe is the process I check under the Overview tab in Resource Monitor. When I check that I’ll also get another process in the Network tab that I’ll check called BackgroundTransferHost.exe. Don’t think it’s a network issue on my end since regular internet is working and the TCP Connections and Network counters appear normal (above). It’s either with the ISP and/or XBOX in the cloud. The only thing I could see Windows developers do to remedy situations like this would be to better buffer the packets as they come down. But in this case it’s just easier to play another song and wait for the song to download. In this case, I waited until the download box disappeared. Then it played fine without skipping. Wait for song to download. You can play another song in the meantime. Once the download box disappears go back to the song exhibiting the problem earlier and play. There’s a Show content button with an x next to it. Microsoft case study. I put the stock symbol for Microsoft [MSFT] in the title to highlight this is a bias study, in the fact that they [Microsoft] conducted the study or hired someone to conduct it and frame on their Why Microsoft site. Which is fine as long as you mention that to prospective customers. I’ve never held a sales position at the computer or business level so I’m simply letting you know it’s not like a Gartner Group research study or something like that. Dell, Google, Yahoo, etc… even Acer probably all have their own case studies. Another would possibly be Amazon since they’re heavily into software as an infrastructure (IaaS) and software as a service (SaaS). Similar to Office 365 and Windows [and SQL] Azure.